The folks at Warner Bros. are planning to remove all the Harry Potter movies from store shelves come December 29th. After that date, your only chance of getting Harry Potter on the shelves of your personal library (legally 'course) is to buy it secondary market a'la eBay. Apparently Warners thinks that Disney's "Vault" model is the way to go with a film series that has already generated $12.1 billion. That should be enough money for anyone, right? I haven't watched a Harry Potter movie since the fifth one, Harry Potter and the Order of the Phoenix, came out in theaters. Guess I could be honest and say that I've just been... waiting for the right time to revisit that film franchise (for a number of reasons). If that time comes in the near future, looks like I'm gonna have to buy the Blu-rays now and put 'em in the trunk for later. Not something I particularly care to do (also for a number of reasons). Dumb, dumb, dumb business move. The one rationale that I've heard for Disney's treatment of the home market is that it allows for its movies to take advantage of whatever is the dominant technology at the time (VHS, then DVD, now Blu-ray etc.) I can't see how that possibly figures into Warner's strategy here. The only reason I can think of why the company is doing this, is to compel people to rush out and buy the Harry Potter movies as soon as they can for this holiday season. 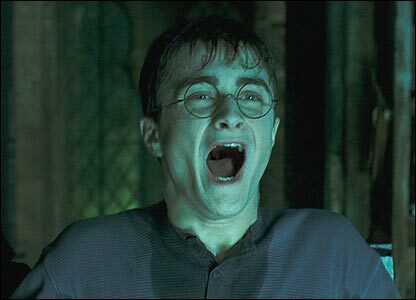 Actually, WB has said that the Harry Potter films are going into moratorium until later in 2012, that's when they are releasing a complete Harry Potter collection on DVD and Blu-Ray loaded with bonus features. If you're talking about the 8-movie Blu-ray/DVD set, that's coming with the release of Deathly Hallows Part 2 but even THAT is gonna be removed from sale come end of December. I've been trying to find something that indicates this is just a temporary thing but so far, nothing. If you've got a link that says otherwise I would LOVE to read it... as would a LOT of other people too, no doubt! I really hope that there are cooler heads at Warners that realize how ridiculous this move is. No, WB has a more elaborate Ultimate 8 Film set loaded with special features that they're releasing in 2012. I'm not talking about the 8 movie set that's coming out soon. That's just a barebones release. Warner's will be releasing a complete film set that's along the lines of the Superman Ultimate Collector's Edition box set. You can read what WB said here: http://www.thedigitalbits.com/#102411b When it comes to DVD and Blu-Ray news I always follow these guys.